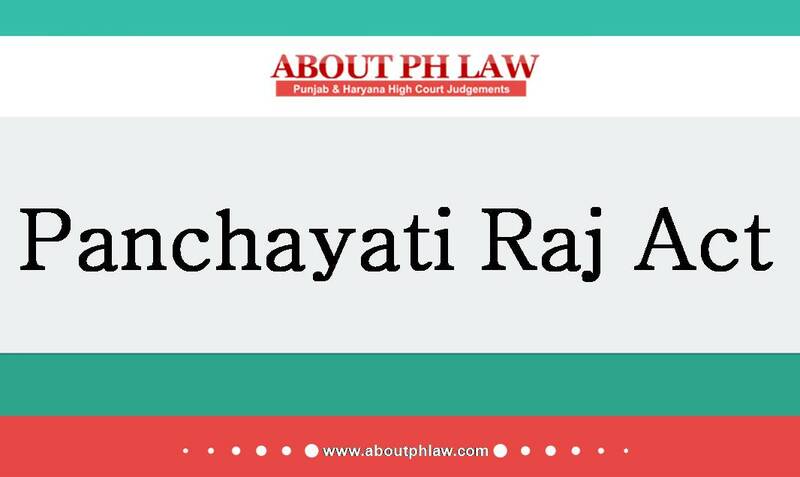 Haryana Panchayati Raj Act, 1994, S.53(5)—Recovery of Amount-Proceedings for recovery after expiry of six years from the occurrence of the loss, waste or misapplication, or after two years from the date, he ceased to hold the office, whichever is earlier, cannot be proceeded against the Sarpanch or Panch. Comments Off on Haryana Panchayati Raj Act, 1994, S.53(5)—Recovery of Amount-Proceedings for recovery after expiry of six years from the occurrence of the loss, waste or misapplication, or after two years from the date, he ceased to hold the office, whichever is earlier, cannot be proceeded against the Sarpanch or Panch. Haryana Panchayati Raj Act, 1994-Recounting of Votes-Order of recounting not to be passed without appreciating any evidence-Short and cryptic order directing recounting of votes is liable to be set aside. Comments Off on Haryana Panchayati Raj Act, 1994-Recounting of Votes-Order of recounting not to be passed without appreciating any evidence-Short and cryptic order directing recounting of votes is liable to be set aside.